I've been decorating my room for about a year now. I painted the walls replaced the carpet had it laid then had to move my furniture around numerous times well I can officially say at long last all the walls are painted and my poster is finally hung. 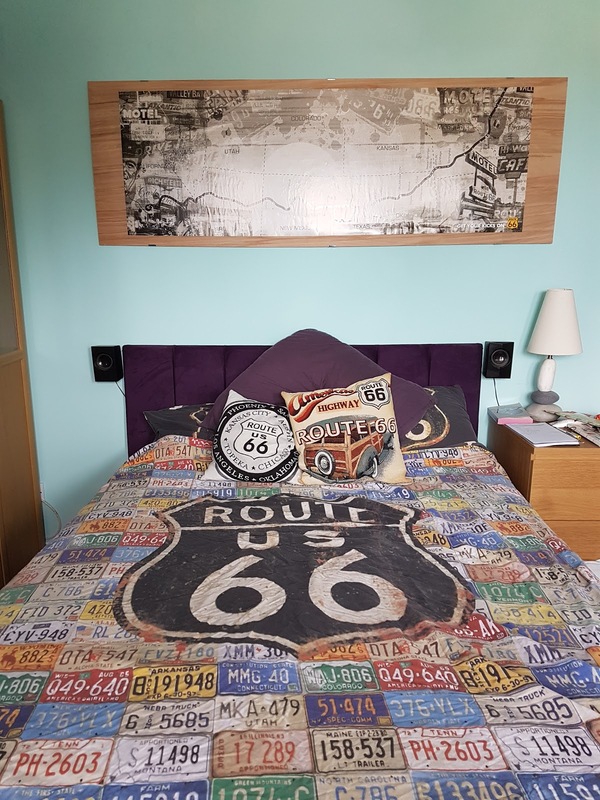 I'm looking forward to taking my trip now to purchase a few more route 66 items to finish decorating the frame. Wall number one is now completed.